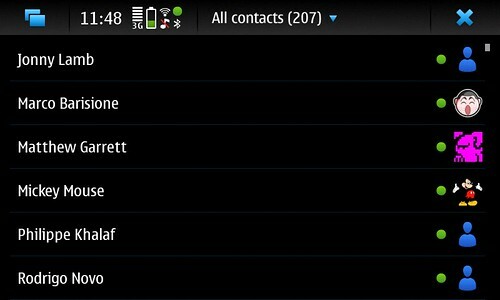 Arggh, too many different contact storages. Bring on storing contacts as individual vCards in a folder. Alessandro: Don’t hate him too much. It’s only lend. He has to give it back after six months. @ Robin: Nokia is not interested by Free (as freedom) Software, but by the technical and financial advantage of community development of Open Source. Nothing more. That is why I will not take N900 before have a porting of Mer on this device and I think helping the Mer project. But on reflection, I dont’t know if I want to give money to people who are for software patents and against the Net Neutrality. So which phone are you using? For this moment or in the future? I heard lots of people saying the same and then ending up saying “so I use an iphone”. korbé: You do unjustice to the people at Nokia’s Maemo department. Most people I’ve meet in that department are free software enthusiasts. You also seriously underestimate the effort needed for changing a huge giant like Nokia. You also seriously underestimate the legal problems in mobile phone market: Regulation authorities all over the place with their funny rules. Competitor controlling trademarks on important services you want to support. Liability: Phones must not explode when being used. 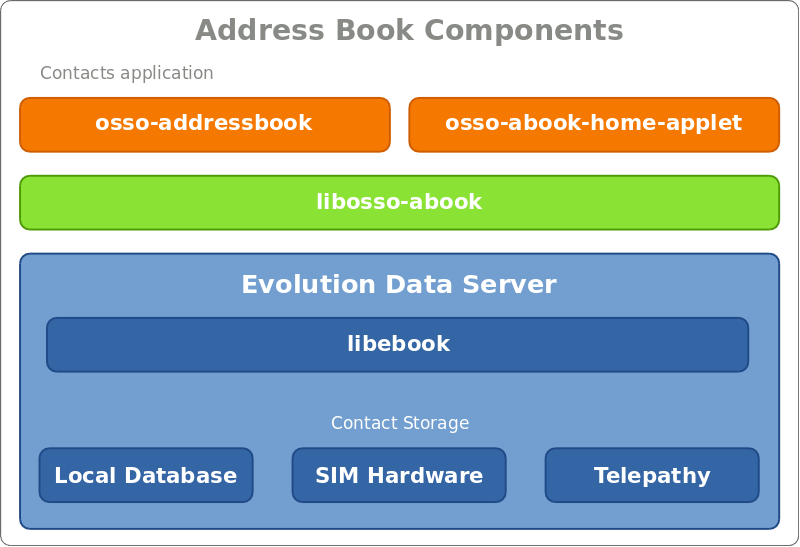 No excuse for keeping libosso-abook closed. Like pointed out in the Maemo Wiki it simply is closed because it was started as closed source years ago. Lawyers created quite some barriers for opening such projects. The team simply decided to first implement the features and then to fight with lawyers and management. Maybe not the most idealistic, but definitely a reasonable decision when you have an ambitious schedule, high expectations, and finally also write that code for a living. Well, now the ball is rolling, let’s see how management and lawyers decide. @ barisione: Good amalgam, it gives really want to continue the conversation. Now I use a hold Sony Ericsson. I bought long time ago, before I’m interested in IT (Information technologies). But I rarely use it: because it’s not equipped with an 100% Free (as freedom) operating system and his SAR is too high. Ho, when a software become Free (as freedom) detonated the device that work with this software? Now, Now, you explain better than some people on Talk.Maemo.org. There, if you have the misfortune to criticize acts of Nokia, you get insulted. And if you defend yourself with good arguments, either you are ignored, be the meaning of your arguments are diverted and then arguments diverted are criticized. Impossible to have a debate there. People must stop cry about “freedom” ofcourse I also want everything too be Open. But problem is this is NOT possible! Some of the reasons is hardware manufactors and also big software companies like Microsoft. So please dont start this war on the Maemo platform too I have seen this in Linux for years and I am very sick of some of the GPL fanatics out there. Infavt it stops the fun with open source. 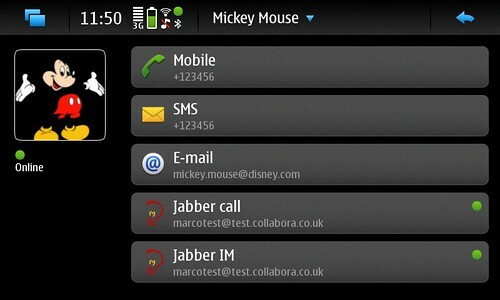 Maemo is the most open platform soo far. So we should help support it and make great apps so it have a chance in the future to be a big, stable competitor too Winmobile and IPhone and Android. Nokia will for sure dump the idea too be more open if people will cry all the time. Dont forget the fact that there is four other OS out there that will compete with Maemo. So its up to the OSS people to make Maemo succe not only for geeks also for “normal people”. @ Mikael Hermansson: The Nokia will to keep its customers in some form of submission on always keeping proprietary software is more important for the World than the freedom of this “World”? – Proprietary software: Closing for the only benefit of those who make this software. – Open Source Software: Opening for the only benefit of those who make this software. If opening don’t give benefit for who make this software, it’s still closed. The only reason for this openness is the advantage of collaborative work. The respect of the freedom of users is absolutely not the intent of the Open Source. – Free (as freedom) Software: Opening for the benefit of all peapole. (Who make this software, users, community member, etc…). The reason for its existence is ethical and socially. The respect of the freedom of all peapole is the intent of the Free Software. Technical and financial advantage of collaborative work are what allows the Free software is possible. Defending the freedom of all people, as in free Software, is not a “fanaticism”. Would you say than defenders of democracy, justice or freedom of expression are “fanatics” ? Nokia is not perfect, but it’s a huge closed source company that started doing open source and to do this hired/subcontracted a lot of free software developers. As a result of this more and more people inside Nokia seem to be aware of what free software is and push to make Memo more and more open and free. A very nice piece of work. I remember reading about it when Telepathy was first announced and thinking “meh”. Now I see the end result possible with it and am very impressed by it. Sweet!